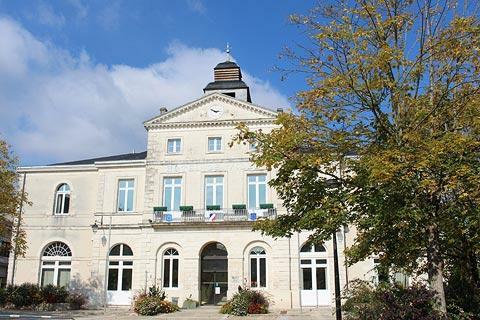 The town of Ruffec is situated on the Lien River in the quiet countryside to the north-west of the Charente department of Poitou-Charentes (hence north of Angouleme). 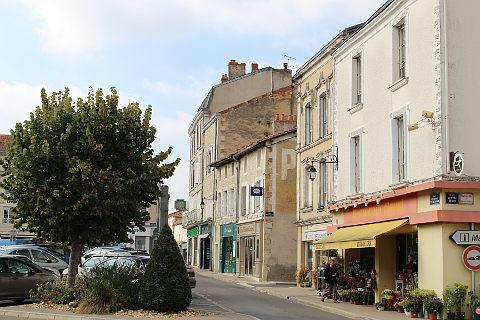 A quiet town, Ruffec has maintained a small historical centre around Armes Square and the church (the focus of your visit). Armes Square is dominated by its grand Town Hall which was built in the 1830s. Although not an obvious tourist town it clearly gets plenty of English-speaking visitors as the majority of the shops have "English spoken" signs. It has a useful selection of shops and restaurants if you are holidaying in this area. The highlight in Ruffec is the Church of Saint-André, a little lower down the hill from the main square. 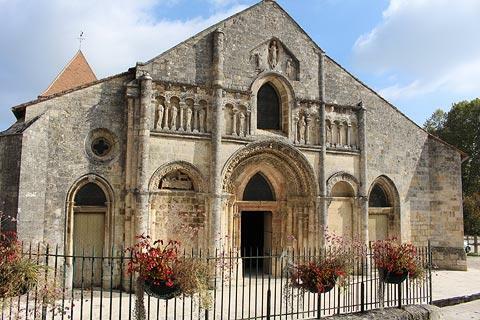 Built in the roman style the church dates from the 12th century and once belonged to the abbey at nearby Nanteuil-en-Vallee, although substantial alterations and additions were made in the 15th century following a fire that destroyed all but the facade. The beautiful carved decorative facade, featuring some inset statuary is the most interesting part of the church. The inset statues are the 12 apostles and you will notice that most have been decapitated. This occured to many religious statues and carvings in France during the revolution. Notice the beautiful stained glass windows which are a contemporary addition by Vivian Oël, a student of Salvador Dali. Carry on down hill and you get to a lavoir on the river. The lavoir (communal wash area) was built in the mid 19th century. Also in Ruffec you can see the ruins of a the small Chapel Saint-Blaise and the remains of a castle. 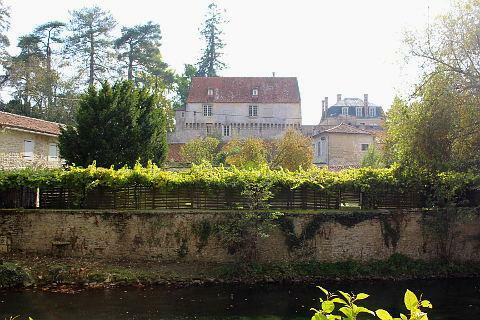 The castle building that remains is private and is just a part of the original chateau that dates back to the 10th century. 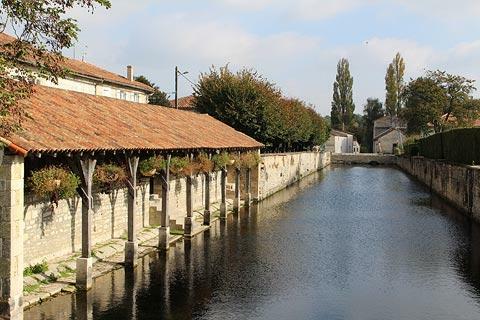 The river in front of the castle was canalised by the Comte de Broglie in the mid 19th century to improve the waterway which up until then was very marshy. Building the lavoir was a part of this improvement. Note: on the banks of the River Lien there is access to the river where children can have a paddle. Also in Ruffec which I enjoyed is a pretty rose garden near to the main square. A charming and peaceful place to sit. 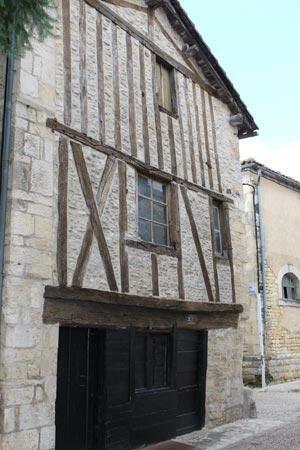 Enthusiasts of religious architecture will certainly want to visit the abbey and treasury at Nanteuil-en-Vallee just a few kilometres from here and the benedictine abbey at Charroux. 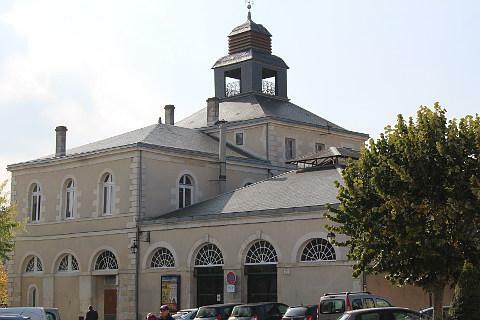 We also suggest a trip to see the churches at Civray, Genouille, Chatain and Saint-Pierre-d'Exideuil, clustered together to the north-east of Ruffec. 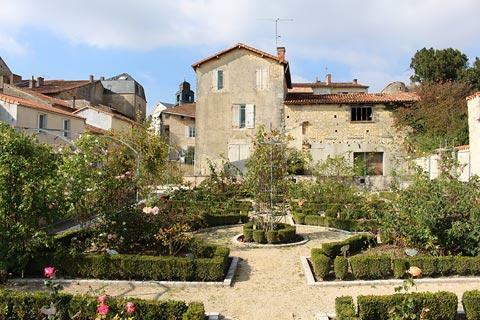 Our favourite village in the area is Verteuil-sur-Charente with its beautiful castle and pretty riverside. Be sure to visit. 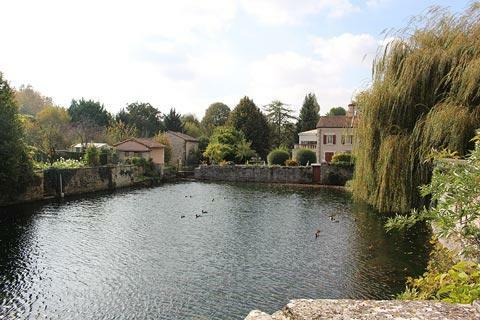 Close to the town visit the Aire de Rejallant to hire a canoe to explore along the river and to enjoy a picnic. The village of Bayers has an interesting castle that you can visit.